Célébration Soufie was my first CD production (2002). The Sufis express their reverence to the divine through singing and dancing. The album was inspired by our Sufi oriented workshops. The chants and instrumental pieces are composed and recorded in collaboration with Punam Verville, a singer and pianist. Heartful compositions with vocals, guitar, keyboard, flutes and dilruba. 10 songs. 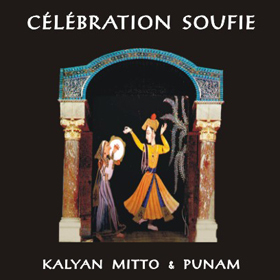 To purchase this album, contact Kalyan.